Five utility poles were damaged in the town of China when the driver inadvertently activated the dump mechanism. 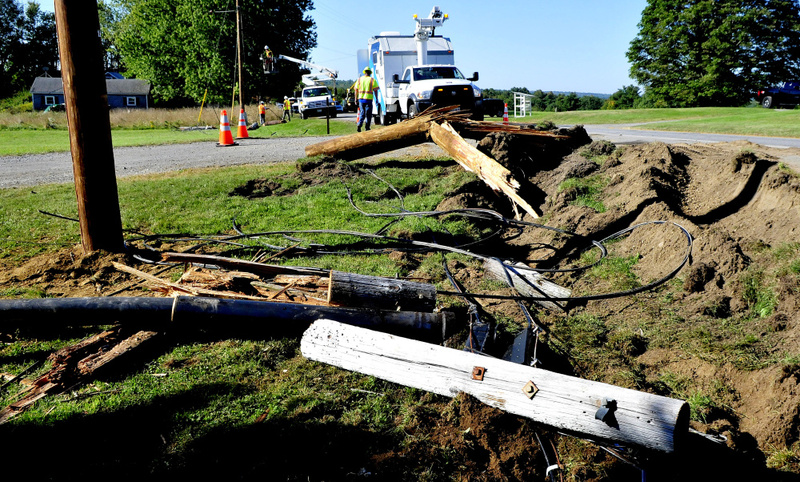 The Kennebec County Sheriff’s Office is investigating a crash that occurred Tuesday night on Lakeview Drive in China in which a dump truck damaged five utility poles and knocked out power to 1,200 Central Maine Power customers for about eight hours. 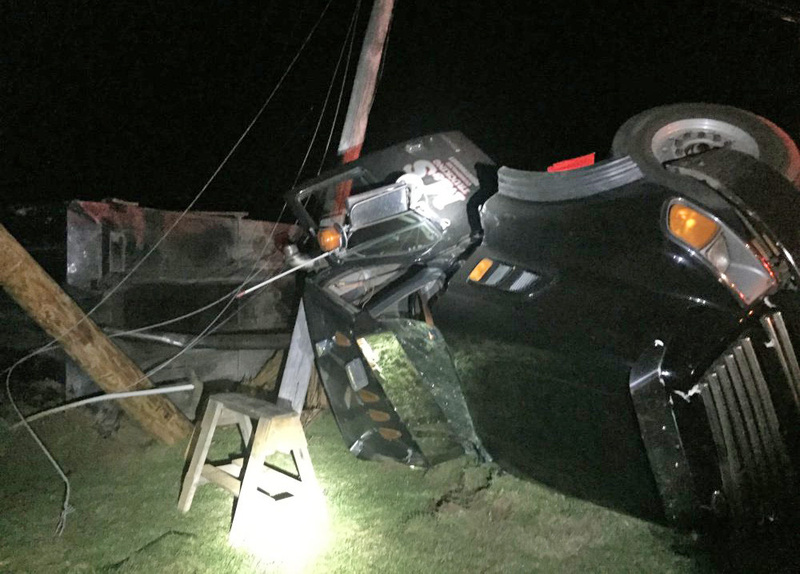 Robert Lee, 44, of Cushing was driving north on Lakeview Drive at 8:04 p.m. Tuesday in the empty dump truck when he inadvertently engaged the device that lifts the truck’s dump body, causing it to rise, said Deputy Jeff Boudreau, who was at the scene. Boudreau said that as Lee drove on Lakeview Drive, the truck started collecting wires, which were strong enough to lift the truck off the pavement. Spectrum crews work Wednesday to replace and rewire utility poles that were damaged in the accident on Lakeview Drive Tuesday night. Lee was bounced around in the cab, but was not injured in the crash, Boudreau said. “He was very lucky,” the deputy said. The truck is owned by Michael Secotte of Cushing, who owns a construction business, and Lee apparently was heading to the Newport area to do some work for Lane Construction, Boudreau said. Secotte arrived at the scene sometime after the crash. The crash knocked power out to 1,200 CMP customers in China just after 8 p.m. Three of the five damaged poles had to be replaced, CMP spokeswoman Gail Rice said. Power was restored to those customers at 4:13 a.m. Wednesday. Three poles were struck on the east side of Lakeview Drive and two on the west side, Boudreau said. Sgt. Michael Dutil and Deputy Michael Sayers of the Kennebec County Sheriff’s Office also worked the scene of the crash, as did China firefighters and Delta Ambulance personnel. Firefighters blocked off part of Lakeview Drive to traffic while police officers worked at the scene. Boudreau said the state Department of Environmental Protection was on site because fuel spilled from the truck.